Let one of our expert biking guides lead you and your friends or family along Provence’s back roads, cycling from village to village. 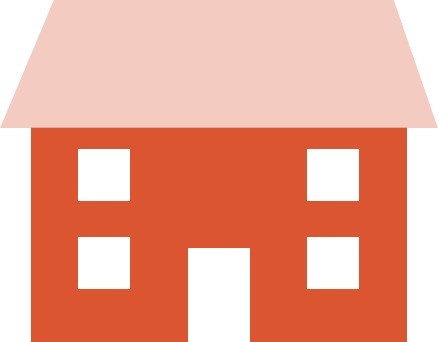 We arrange hotels, luggage transfers. We provide you with high quality bikes : hybrid, road bike, E-bike, children’s Our guide will lead you off the beaten track to some of the most beautiful locations in Provence. Choose your departure date, your level of fitness, your hotel comfort! 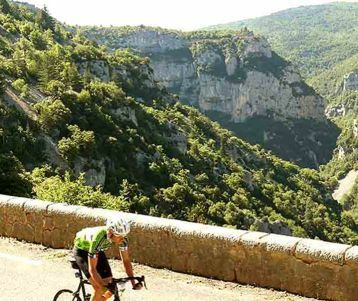 Experience Provence with true cycling specialists based in Provence ! 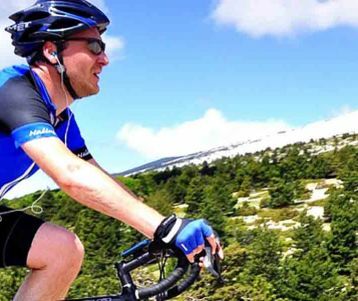 Enjoy your guided cycling holidays in Provence. We’ll organize every aspect of the trip for you : booking accommodations, luggage transfers, bike rental, and even custom planning for your group. Your worry-free vacation begins as your guide takes care of everything from A-Z, showing you all the hidden gems that the countryside has to offer. 10:45am: a short but steep climb up the village of Oppède le Vieux. Granny-gear in full effect. Our guide comes over and tells me a dirty joke. The climb hurts less. At the top we find a café, and I get a glass of rosé, with ice cubes. The climb is forgotten. 3pm: We cycle into a vineyard and surprise: the wine-maker meets us and hands us all a pair of shears. We help out with the harvest for an hour, and learn all about Grenache and Syrah, and their little cousins Mourvèdre and Cinsault. Then some wine-tasting. 6pm: I’m in the pool resting my cycling legs, overlooking the vast expanse that we cycled through all day. I can name all the little villages I see that dot the horizon: I’m sure the guide will test us on this later. 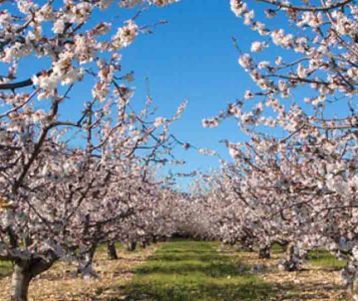 If you look at a map of Provence, there is so much to do in Provence : a cycling & wine tasting holiday, a bike riding holiday in Provence around the Pont du Gard aqueduct. And last but not least, cycling up Mont Ventoux: the cyclists’ Everest ! Discover Luberon biking, pedalling from one perched village to another, cycling in Provence along back country roads! 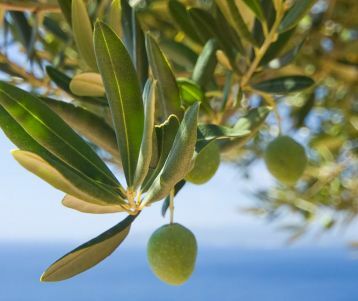 The Luberon mountains are filled with tiny country roads lined with thyme, vineyards, fruit orchards and truffle oak plantations. 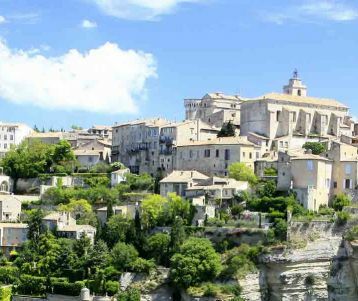 The most stunning villages in the Luberon are the perched village of Gordes and nearby Senanque Abbey, Lacoste, Fontaine de Vaucluse, Roussillon, Ménerbes and Bonnieux. The capital of the Cotes du Rhone wines is Avignon. And Provence is famous for its vineyards: Chateauneuf du Pape, and the villages of Gigondas and Vacqueyras. 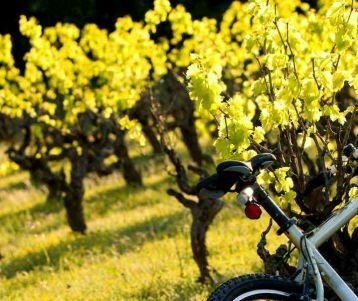 It is a unique experience to enjoy a cycling holiday in Provence on roads carpeted of vines. Don’t miss all of the Chateauneuf du Pape wineries to visit ! It’s a once in a lifetime opportunity to cycling through the Lavender fields of Provence. The booming season typically begins in mid-June and last a month. The high plateaus around Sault and Valensole turn a deep purple, while the fine perfume of lavender wafts through the air. Your Provence lavender tour can also explore the regions of the Luberon and Mont Ventoux, with patches of lavender sprinkled through the countryside. The best Provence cycling routes pass through the untamed region of Camargue: starting from the beautiful Roman Arles to the Gipsy Saintes Maries de la Mer on the Mediterranean Sea. You cycle through unique scenery: tens of thousands of pink flamingos, wild horses of Camargue, bulls farms.